The government should set up a league table of its departments so it can compare their performance in enabling the use of assistive technology by disabled civil servants, a committee of MPs has suggested. The Commons work and pensions select committee says in its Assistive Technology report that a league table would “incentivise” government departments to “improve quickly”. Earlier this year, Disability News Service reported how a disabled civil servant told the committee how her career had stalled because of the failure of the IT systems in the Home Office to cope with the assistive technology she needed to do her job. The new report says that civil service computer systems are often not fully accessible to users of assistive technology (AT), even though all departments are signed up to the government’s much-criticised Disability Confident programme as “leaders”, the highest level of accreditation. It says the Department for Work and Pensions (DWP) should introduce new AT-specific criteria at all three levels of Disability Confident – which is supposed to encourage employers to hire disabled people – and include detailed AT support in its new Disability Confident information portal. Disability Confident should produce an annual report and league table on how government departments are meeting a central standard on AT-compatible IT systems, the report says. The report is also critical of the Fit for Work service, which is also run by DWP, which provides advice to employers on how to support employees with health conditions, but “makes limited reference to AT”. The report concludes that assistive technology already makes “a huge difference” to the lives of disabled people but has “vast untapped potential” and “could have a transformative impact on the disability employment gap” while providing “a huge opportunity to boost productivity”. The report calls on the government to set up a new system that would allow disabled people to use the daily living element of their personal independence payment (PIP) to secure low-cost assistive technology, mirroring the long-established Motability scheme that allows claimants to use their PIP mobility payments to lease a car. The idea was suggested to the committee by the charity Leonard Cheshire Disability, and by Dr Stephen Duckworth, a disabled consultant and previously chief executive of the PIP division of the much-criticised outsourcing giant Capita, which assesses claimants for their eligibility for PIP. He had told the committee that such a scheme would help disabled people “take responsibility, not just for independent living, but also for their future employment and contribution that they make back to society”. And he said it could prevent disabled people being charged one thousand per cent interest rates on loans from payday lenders to fund the purchase of expensive assistive technology equipment. The report also says that DWP should overhaul training for staff working on the Access to Work (AtW) scheme. The report suggests that some AtW staff insist on recommending specialist pieces of assistive technology equipment when equally good mainstream equipment is cheaper, or even free. Part of the problem, the committee says, is that training is only offered by providers of specialist equipment, providing a further reason for AtW assessors to recommend their technology. This should change, it says. DWP should also train its work coaches and disability employment advisers on how AT can support disabled claimants, says the report. And the report says the government “missed a trick” by failing to include an assistive technology category in the Challenge Fund it set up under its Industrial Strategy, which will see it investing in various key areas of research such as food production and “leading-edge healthcare” . Frank Field, chair of the committee, said: “Assistive technology (AT) could be a real game changer for the UK economy, in many cases at little or even no cost. “But DWP must vastly up its own game so that employers and disabled people – in or out of work – are fully able to benefit from all it has to offer. 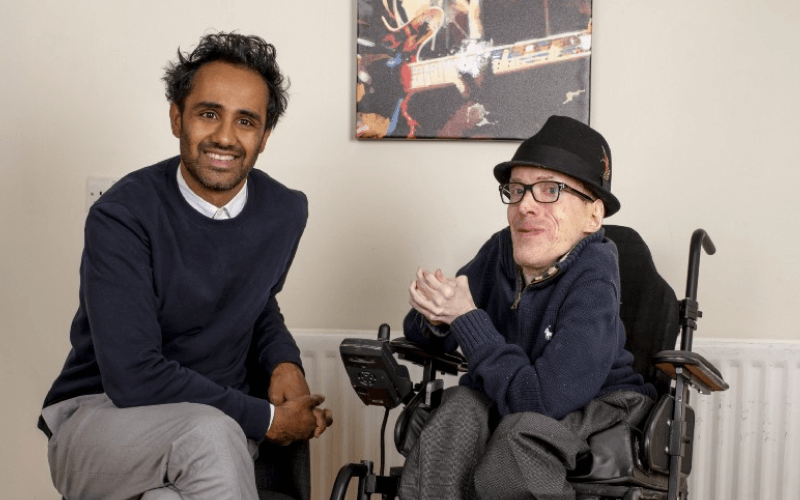 The report’s recommendations were supported by the digital inclusion charity AbilityNet, which called on the government to raise awareness among employers and disabled people of the availability of mainstream AT. The charity said the government should also promote the use of assistive technology support, such as Microsoft’s accessibility helpdesk, AbilityNet’s My Computer My Way website and the Disabled Living Foundation’s Living Made Easy website. 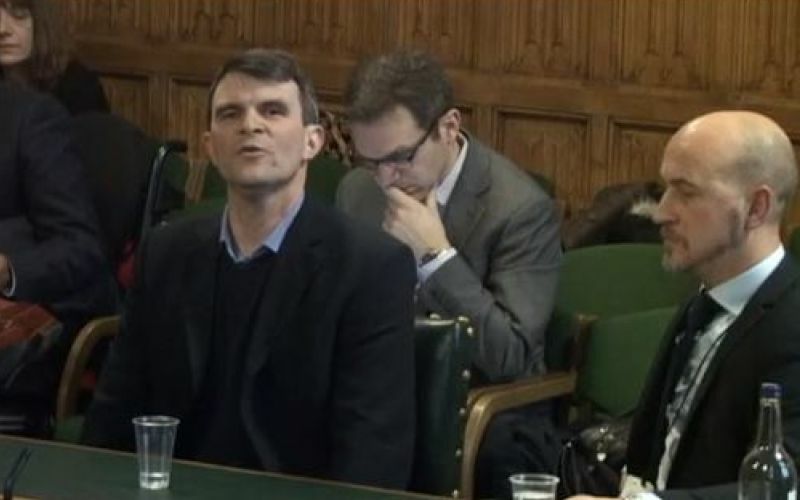 Robin Christopherson (pictured, left, giving evidence to the inquiry in January), head of digital inclusion at AbilityNet, said: “There is a widespread lack of knowledge and understanding of what mainstream technology can actually do for disabled people. “Users themselves do not know what their existing system is capable of, which adjustments would be relevant, or which menu to use to make that adjustment. Meanwhile, the work and pensions committee has launched a new inquiry on the use of benefit sanctions by DWP, and is seeking evidence, with a deadline of 25 May. Field said: “Sanctions are an important part of any benefits system but they need to be applied proportionately and fairly and to account for individual circumstances. “I’ve seen deeply troubling cases in my constituency that suggest these objectives are not always being achieved.